A little behind I know on the Doctor Who news! Sorry! The BBC has released two new trailers for the next series, starting on 23rd August 2014 (UK). Steven Moffat, Peter Capaldi and Jenna Coleman have also done an interview with Empire magazine. Moffat and Capaldi both say the next series is going to be darker than the earlier series, which probably explains the “into darkness” line in the trailer and tallies with what Capaldi revealed to Empire about his Doctor. (The article can be read by heading to the Empire Magazine website). This probably means that the next series will be closer in line with the Classic Who episodes and children will be hiding behind the sofa or a cushion much more so since the reboot began in 2005 with Christopher Eccleston as the 9th Doctor. What do you guys think? Do you want a return in some ways to the feel of the older episodes or would you rather they stuck to what has worked since it’s return to our screens in 2005? What do you think the trailers say will happen in the next series of Doctor Who? Don’t be afraid to comment below! The BBC has released another trailer for the new series, starring Peter Capaldi as the new Doctor, starting on Saturday 23rd August. What do you think of the trailer? What do you think is going to happen in the next series? And what could the Daleks be up to this time? Don’t be afraid to drop a comment below. The BBC have released a new teaser trailer for the next series of Doctor Who on YouTube. 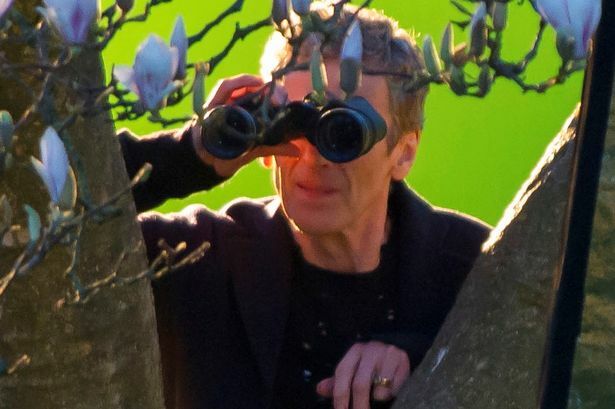 According to the video description, the next series of Doctor Who, with Peter Capaldi as the new Doctor and Jenna Coleman as companion Clara Oswald, will début in the UK on 28th August 2014, and the first episode will be a feature-length called “Deep Breath”. What are you hoping will happen in this next series? Is there anything you didn’t like in the earlier series that you hope will be improved or not seen in series 8? Don’t be afraid to drop a message below. BBC News are reporting that Frank Skinner has been given a role in the next series of Doctor Who. What role he will play is unclear however the episode he is going to be in is known to be penned by Jamie Mathieson, a writer from another BBC series, Being Human. Steven Moffat, the show’s Executive Producer, has said that the comedian has been asking him for a role ever since he took over. Series eight will air in Autumn with new Doctor, Peter Capaldi, and other confirmed stars, Samuel Anderson, Ben Miller and Keeley Hawes. Find out more by visiting the BBC News website. Information about Capaldi’s first series as the wandering Time Lord is coming in slowly but surely now the series is being filmed. The Radio Ti mes is reporting that Mark Gatiss has said he is writing two episodes for Capaldi’s Doctor but “that doesn’t mean they’ll both necessarily be in this season.” Well known from writing for and appearing in BBC’s Sherlock, he has also starred in Doctor Who and written for the series six times before, most recently being Cold War and The Crimson Horror for series seven. The end of the 50th Anniversary episode, The Day of the Doctor, saw the return of Gallifrey and the Time Lords but Gatiss has urged caution at bringing the home planet and the Doctor’s people back into the series too much. Series eight of Doctor Who is expected to air later this year.